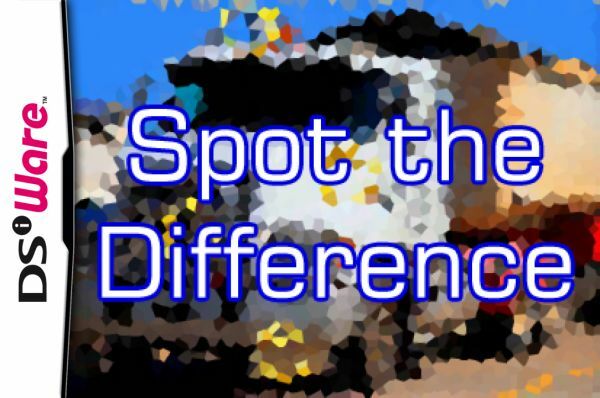 Most of you will probably be familiar with the old game known as spot the difference. For those who aren't, it's generally meant for children and simply involves looking at two pictures side by side, an original image and an altered one, between which you have to find any differences. Now, Enjoy Gaming Ltd. has brought Spot the Difference to DSiWare, and for what it is, it's not too bad. 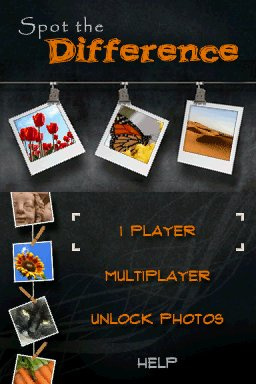 The game features just two modes, single player and multiplayer, and features over 160 photos, split into eight different packs. It also includes five difficulties, which change things like how much time you have to find the differences and, on the hardest setting, the game will even flip the image you see on the top screen, adding a nice little bit of variety. 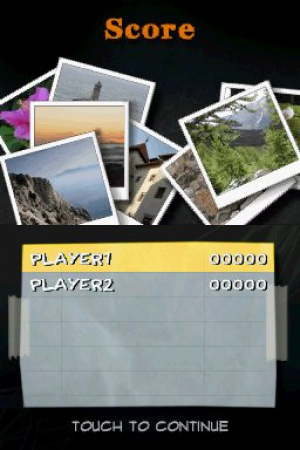 Even on easy mode, some pictures are fairly hard to find all the differences in, which can get slightly frustrating at times and it only gets worse in the higher difficulties, which requires you to even find more differences between the pictures and can be very difficult at times. Spot the difference veterans may relish the challenge, however. There's more than just the basic mechanics of Spot the Difference here though; the developers have included a few extras, the most important one being the addition of a time limit in which you have to complete each puzzle. This affects the game in several ways: if you press on the wrong area on the photo while looking for differences, you will earn a time penalty, which will prevent gamers from randomly tapping across the screen to find the differences. There are also cups you can earn throughout single player mode based on your performance when playing through a picture. Earning cups is important as it helps unlock more packs of photos to play with and gives the game more replay value. The game design works rather well but, unfortunately, the differences aren't enough to make a game which has been adapted many times before any more interesting, and it becomes boring fast. You can play with two to six players in multiplayer, which uses a turn-based format where you pass one DSi along to another player when it's their turn. This plays in the same way that single player does, with you simply trying to find the differences as fast as possible and then getting ranked on your performance. There are no other modes of play, unfortunately, which is disappointing. On top of that, having to wait for friends to finish their turn can be rather annoying and make the experience pretty boring. 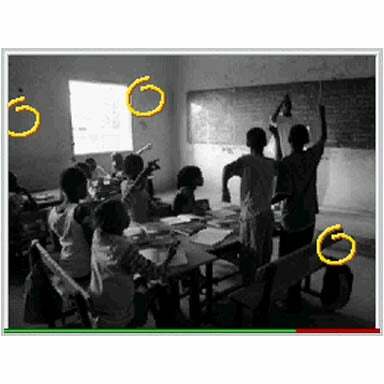 The interface is rather simple here, with the original picture appearing on the top screen and the altered picture on the touchscreen, which you then tap with your stylus to reveal the differences. These work rather well, but unfortunately the game requires you to be very precise as even tapping a very slight distance away from the exact spot will register on the game as incorrect, earning you a time penalty. Graphically, the game uses photos or photorealistic art for its photos, so it certainly looks decent. All of the 160 pictures are based on real life objects, with a large variety ranging from a picture of a golfer, a truck, a bunch of carrots and more, which all look rather nice so there's plenty here to keep people occupied. While the developers have brought the core mechanics of spot the difference to the DS quite well, the problem is that the game is just not very interesting. There's enough variety between the pictures but it won't keep you playing for long periods of time and finding the differences begins to feel rather tedious. For those of you who actively enjoy playing spot the difference games you may find some enjoyment here, but for everyone else this is recommended with caution. This game can't have very much replay value, cos once you've found everything there's no fun in finding it again. @1: I dunno, from the sounds of the PR it sounds like it randomizes what's different. That's just a guess though. Well, 160 levels for $5 can't be THAT bad. I found a difference! I don't need to buy this game, you can find it for free on the Internet. Aren't STDs always bad ?